3.4 out of 5 based on 22 bloggers and 7 commenters. 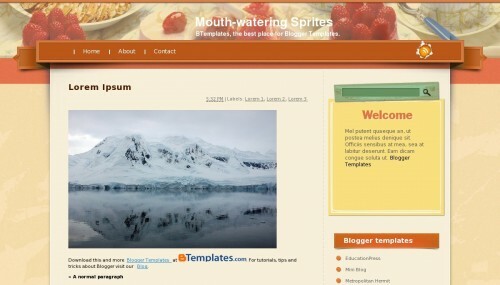 Mouth-watering Sprites is a free blogger template with 2 columns, right sidebar and vintage style. wow this is a gd site///..
gd job… rely its very nice..